Canada is hockey and hockey is Canada. More so than any other sport, it is ingrained in our culture, in our imaginations, and in our very sense of being. Whether it involves watching your favourite team on Hockey Night in Canada, playing shinny on a homemade rink in the backyard, participating in organized leagues and dreaming of someday making it to the NHL, cheering on the local junior team, or being a hockey mom (or dad) and all the commitments that involves (driving kids to early morning practices and weekend tournaments away from home, fundraisers, meetings, coaching, refereeing…) the sport of hockey defines us. It is with this passion and dedication to the game, and all the experiences it offers to the athletes, that the Creston Valley Minor Hockey Association (CVMHA) is once again hosting a Provincial Hockey Championship. From March 16 to 20, 2019, Creston will be the site of the Tier 4 Midget Championship. Tier 4 refers to the size of the community organization. Midget teams consist of players aged 15 to 17. There will be five (5) teams competing: Summerland, 100 Mile House, Invermere, Elk Valley, and the Creston Chiefs. With five teams competing there will be three games each day in a round robin elimination tournament. The Opening and Closing Ceremonies and all the games are FREE to watch and the public is encouraged to come out and cheer. The full schedule and up to date scores will be available on www.bchockey.net. The Championship game takes place Wednesday, March 20th. And there are more sponsorships coming in the next couple of weeks. “The community support is amazing” added Sliworsky. The CVMHA mission is to ensure meaningful opportunities and enjoyable experiences in a safe, sportsmanlike environment. Hosting a Provincial Championship “is a great experience for the kids” says CVMHA President Chad Luke. 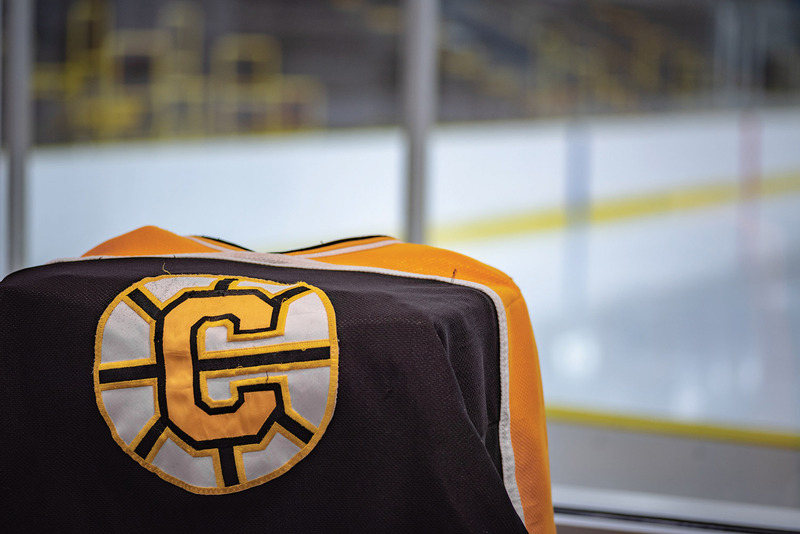 “For some, it will be their last year of organized hockey but they will carry these memories and friendships for the rest of their lives.” It is also an opportunity to showcase the organization and the community. “It is important to note the history of Creston Valley Minor Hockey, the Johnny Bucyk Arena, and how hockey icons came thru to help rebuild the arena after it burnt down”, Luke added. There is also a history of players developing their skills in Creston and moving on to bigger things in the sport. In addition to the connection with Bruins legend Johnny Bucyk, locals Darren Jensen and Jaimie Huscroft went on to play in the NHL. Scott Salmond is now the senior vice-president, national teams for Hockey Canada. Scott Bowles went on to play in the Western Hockey League with the Prince George Cougars (on a team with Dustin Byfuglien). Currently, James Porter is playing in the Western Hockey League with the Kelowna Rockets, Jake Livingstone has committed to play college hockey in Alaska, and Chloe Luke is playing college hockey in Wisconsin. This March 16 to 20, come out to watch some exciting hockey, cheer on the players, and welcome the opposing teams. Help make this a memorable experience for all involved! Win or lose, hosting the tournament is about showing the players “what hockey is and how hockey brings people together”, Luke says. “Hockey is a family”.